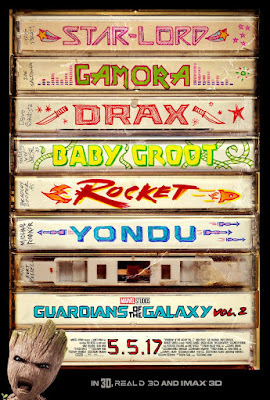 This fantastic mix tape teaser movie poster for Marvel’s Guardians of the Galaxy Vol. 2 is actually one of the first posters ever released for the film. It is such a freaking brilliant idea for a poster! 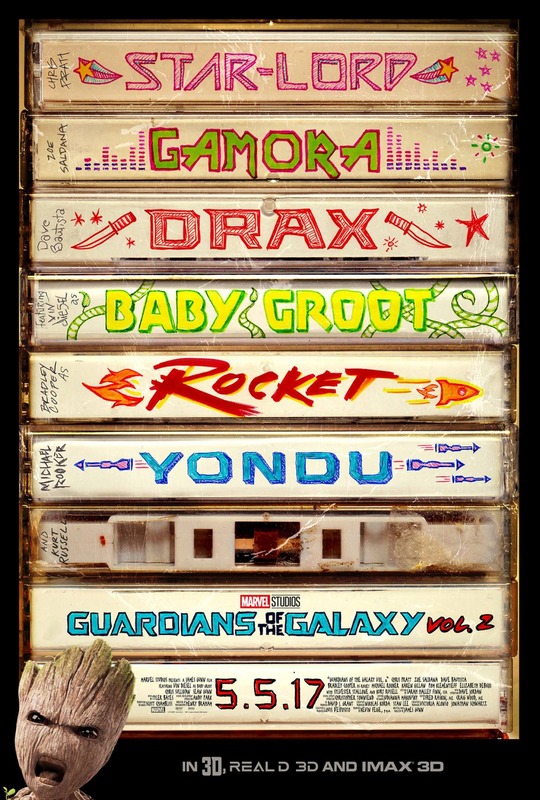 I love how it pays homage to Star-Lord’s beloved mix tape in the first film and the fact that they’ve named GotG 2 “Vol. 2” as if it were an actual mix tape. Now if only we didn’t have to wait more than a year for a GotG Vol. 3!